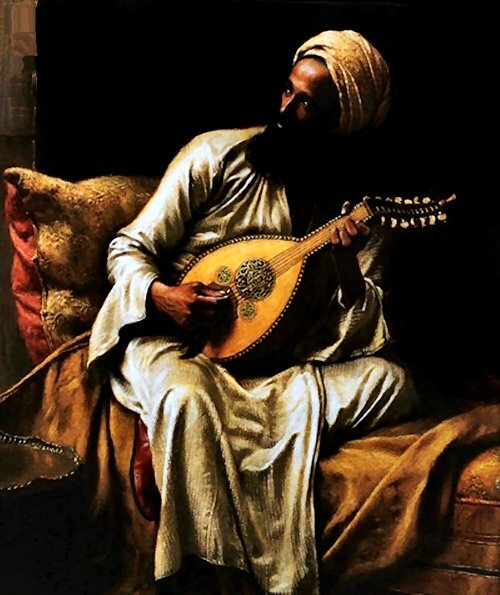 The Ney (flute) that is mentioned in Rumi’s stories in fact represents the perfect human. The stages a reed goes through from the reed bed to becoming a ney portrays the maturation of a human being, a representation of the steps of purifying the nafs (lower self) and refining the heart. In the same way that the ney is severed from the reed bed and this separation causes it to lament in pain, the perfect human, who has come from the realm of souls and enters a body made out of clay, known as the cage made of flesh, yearns for the original realm. Through this yearning a human being goes through ascetic discipline (riyadaat), meditation (murakaba), reflection (tafakkur), divine love and tribulations until they reach maturity and find the level of perfection. The ney that is removed from the reed bed is carefully cut by the craftsman. Then the inside is removed and the reed is left to dry. Later, holes are burnt through and rings are placed at the top and bottom. After being left in this state for some time, when the neyzen breathes into it, the ney starts to send out beautiful tunes, as well as wonder and wisdom, in accordance with the listener’s spiritual level. A human being goes through similar stages on the path to perfection. Perfect humans are chosen from among other humans according to certain criteria. One of the most important attributes of a prophet is that they are “chosen”. They are cleansed of mortal bonds and preoccupations through various methods of nurturing. On the path of special religious training they face hardship, misfortune and trials, which are necessary to gain patience, and they mature by following the path of “revelation”. Finally, they become instruments in which Allah’s art, wisdom and might are manifested. People yield to the spiritual wisdom that emanates from them and they start to proceed in the direction of unity with the beloved. The Prophet entrusted a drop of the ocean of secrets and wisdom that had been bestowed upon him by Allah Almighty to Ali, who is known as the Gate of Knowledge, strictly warning him not to reveal these secrets. It is Allah Almighty Who preordains a sufficient sustenance for all creatures. It is absurd to be ambitious in securing this sustenance. In a hadith it is said: “Like death, sustenance will find the person.” (Ibn Hibbân, Sahih, VIII, 31). This means no creature’s life will come to an end before it uses up the sustenance that has been preordained for it. Like other things that are predestined by Allah Almighty, sustenance is connected to means; effort and action are a necessity, a responsibility and are mandatory in reaching these means. But to think that the result, which is the sustenance, is from oneself is great heedlessness. Means produce results according to their relevance. Therefore, the wise human being knows that sustenance comes from Allah Almighty Who has created the means; it comes through His predestination, not through the means that one is pursuing. “The pitchers of the eyes of the covetous will never be replete. And if the mother of pearl is not content it will never be impregnated with pearls.” (v1, 21) Mathnawi. There is ambition in each and every creature, to varying degrees, but it is certainly there. If you give the same toy to two children, one will envy what the other has only to the degree of their innate inclination to envy. It is only possible to minimize this inclination through training the nafs. For this reason in the Qur’an it is said: “But those will prosper who purify themselves (purifying from foul inclinations)” (A’lâ, 87/14). The first condition of peace and felicity in society is to adhere to what Allah has preordained for us. This preordination is a requirement of the destiny that is absolute and unconditional (Qadar-i Mutlak). Destiny is an ocean of secrets. It is not possible to be aware of all the wisdom that is hidden within. So it is a necessity to submit to Allah’s will and to have faith in the wisdom of this will. Those who cannot obtain this state will be ruined in the whirls of the pit of hell, where all sorts of desires overflow. Those who nurture their soul and reach the pleasure of Iman are free from the worries of life and fortune. They become instruments and opportunities by which the Lord Almighty’s love can be reached. But this is not a maturity that can be easily reached. Through patience, determination, worship, prayer and the struggle against the nafs, one needs to show constant perseverance. Even the earth is beautified with the blessings of spring because it bears the difficulties of winter. The mother of pearl is blessed with the happiness of the presence of the pearl in its bosom through this endeavor. The human body belongs to the earth. In this respect it is no different from other beings in creation. Like all of creation, humans are created from the earth; they feed on what they can attain from the earth and they are a changed form of the earth. In the end they return to the earth and are eternalized. But our spiritual qualities belong to Allah Almighty. In a verse in the Qur’an it is said: “…and breathed into him of My spirit…” (Hijr, 15/29; Sâd, 38/72). The Lord Almighty has bestowed His servants with certain capabilities and inclinations so that they can be elevated towards Him. Those who can eliminate perverse, human tendencies and enter the path of perfection start to advance towards a divine union. Prophet Muhammad (pbuh) said: “Talk to people according to their level of understanding” (Bukhari, Ilm, 49). Regardless of their nobility, words and expressions that are beyond the listener’s comprehension are of no benefit. From this point of view, people who witness the deep and refine feelings that come from the soul must also be people of the soul, because being with people who are immersed in the corruption of sins blinds the eyes of the body and the soul. Words that are spent on senseless and ignorant people are wasted. These are like rare flowers that bloom on the edges of sidewalks, condemned to be trampled and perish. On the other hand, there has to be mutual love for any teaching to bring about the desired outcome in the respondent. Love is such a magical instrument of influx that through that channel, without even turning to speech, it can pass from one soul to another. It is for this reason that Sufis use love for all kinds of teaching and guidance. A human’s affection for another and the fruit of this affection, which is tender conversation, resembles the encounter of the rose and the nightingale. In general, words and thoughts that are uttered by humans are suitable to the listener’s aptitude and spiritual needs. The one talking is the heart, while the tongue acts as translator. Expressions are almost like a heartsick tune from the ney. The listener is the person who is playing the ney. If the person playing the ney is an amateur, then that assembly is similar to a rose garden that has reached the season of fall. Lord Almighty says: “O ye who believe! Fear Allah and be with those who are true (in word and deed)” (Tauba, 9/119). True happiness is possible through reinforcing high morality, which is attained through fayz and the spirituality that emanates from the souls of people who are close to Allah. Their graceful demeanor, through togetherness, which is a prerequisite of affection, emanates and matures people who pass from one soul to another. The Companions of the Prophet are the best examples of this. These people, whose past was full of savagery, burying their daughters alive, not caring for justice or law, reached the highest peaks of morality and virtue through their love and closeness to Prophet Muhammad. In degrees, people who are close to Allah are all in the same situation. The greatest humanitarian disaster is going against Allah’s order “…sit not thou in the company of those who do wrong!” (An’âm, 6/68) and being with those who live under the influence of their nafs. Feeling affection towards these people is the cause of a devastating loss that occurs through the reflection of all kinds of negativism from heart to heart. The Prophet and the saints are an elixir. With them hardened, lifeless souls are revived and invigorated. “Saints have such power bestowed upon them by the Lord Almighty that they turn the arrow, which has left the bow, from its route.” “When a saint is troubled regarding an incident that takes place, with the Lord’s hand of power, he will close the door of reason that generated the incident.” (v.1, 1669-1670) Mathnawi. 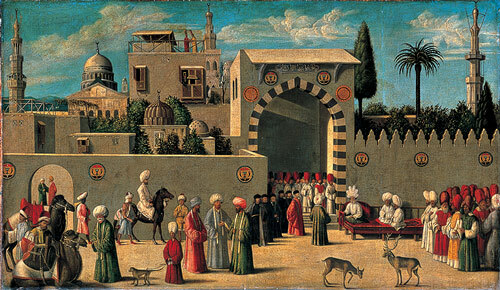 On account of the reasons listed above, the title warathatu’l anbiya (the succession of the prophethood) is given to those special people who, by developing their comprehension and perception, have reached a delicate understanding and a joy of iman, have attained perfection within their soul along with their outer appearance through spiritual manifestations in the way of ascetism and taqwa.